Everything you ever wanted to know about skirt, blouse, dress, and robe sleeves and cuffs. 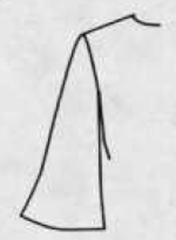 Sleeves come in various lengths as illustrated below. Sleeveless of course, has no sleeves leaving the entire shoulder exposed. With a drop shoulder sleeve, the sleeve is attached to an armhole shaped to extend wider than the natural shoulder. 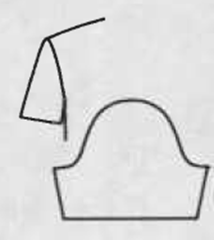 A cap sleeve has an extension to the front and back of the garment to cover the top of the arm. A short sleeve ends about half the distance between the elbow and underarm. Elbow length sleeves are any type of sleeve that ends at the elbow. Bracelet length sleeves are a three-quarter length cuffless sleeve to show a bracelet. 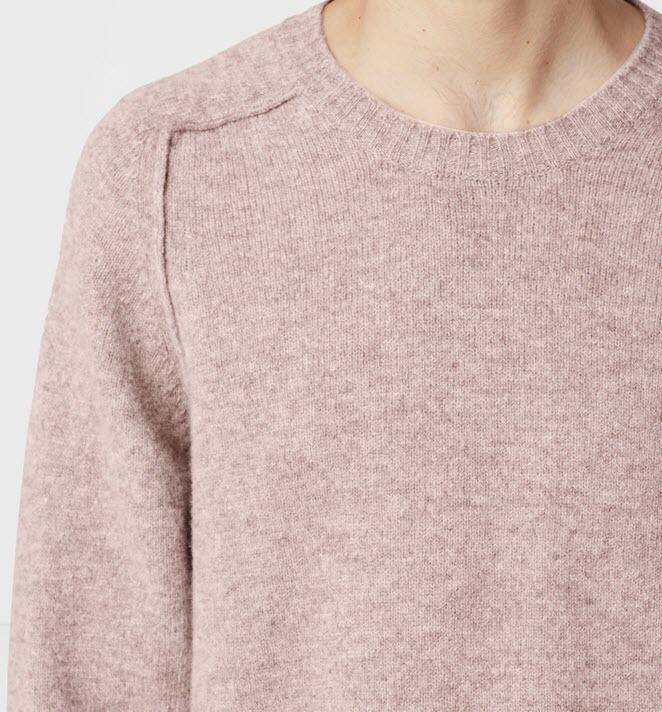 A long sleeve is tapered to the wrist so it can be pushed up to stay in place. Sometimes referred to as a push-up sleeve. 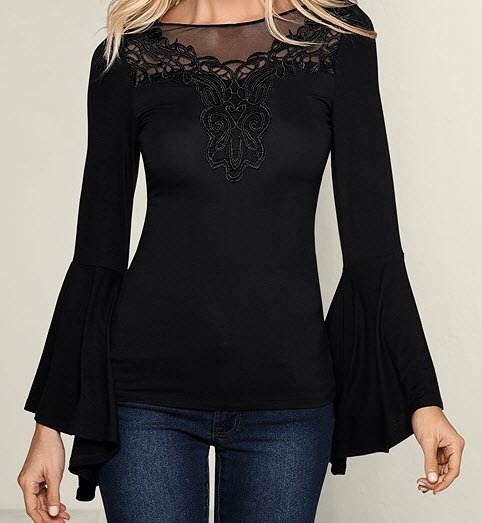 An angel sleeve is any long, flowing sleeve. It may even extend longer than the arm. 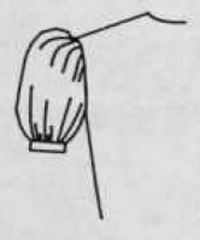 A balloon sleeve is a long, full sleeve with gathers at the armhole and at the lower edge. They fit tight around the upper arm and grow wider from the elbow to the wrist. They are usually made of crisp fabric. A barrel sleeve is a straight, long set-in or shirt sleeve which is smooth at the armhole with minimal fullness at the cuff. A bell sleeve is a set-in sleeve that is smooth at the armhole and flared at the hem edge. A bell sleeve can end anywhere from the elbow to the wrist. 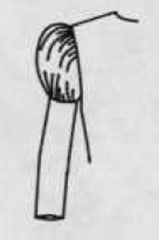 A bishop sleeve is a long, full set-in sleeve with fullness held at the wrist by a cuff. 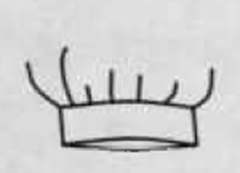 A bishop sleeve may be gathered at the cap as well as at the wrist. It is essentially a relatively full bell sleeve that is gathered or pleated into both the armhole and the bottom. A butterfly sleeve is a set-in sleeve that is smooth at the armhole and widely flared at the hem edge. They may be elbow length or longer. It is essentially a puffed sleeve but does not taper off nor does it end in a cuff. They are typically paired with low cut gowns. A button-tab sleeve is a long, roll-up sleeve with a button-tab sewn above the elbow. The sleeve is rolled up and fastened by the tab with a buttonhole and button. They may be either set-in or shirt sleeve. A circular cap sleeve is a short, flaring sleeve that extends out from a smooth cap at the armhole. 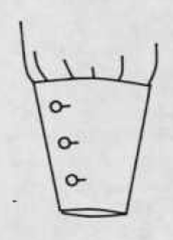 A fitted sleeve is a full-length narrow set-in sleeve. 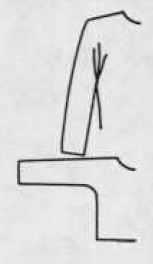 It may be either one piece with darting at the elbow or two-piece with vertical seams down the front and back of the arm. They are also referred to as suit sleeves. A Juliet sleeve is a long sleeve with a puffed upper section seamed to a fitted lower section. 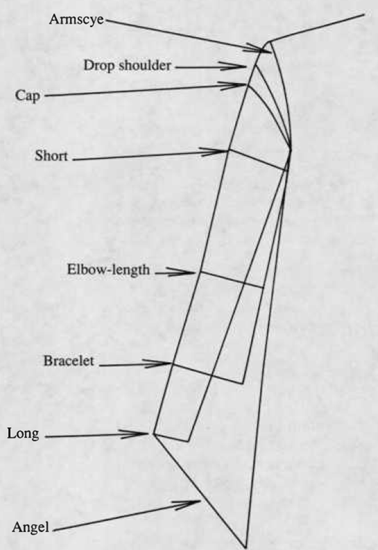 A Leg-o’-mutton sleeve is a sleeve with full gathered or pleated top tapering to narrow at the wrist. 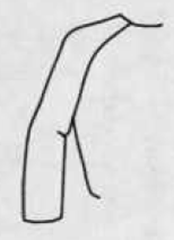 They are also referred to as leg-of-mutton or gigot sleeves. A melon sleeve is a sleeve made in lengthwise sections that are wider in the middle of the sleeve to create a melon shape in the middle of the sleeve. They are typically made of stiffened fabric. A petal sleeve is a sleeve with a two-piece overlap at the top of the outer arm to form a petal-like opening. They are also called lapped sleeves. 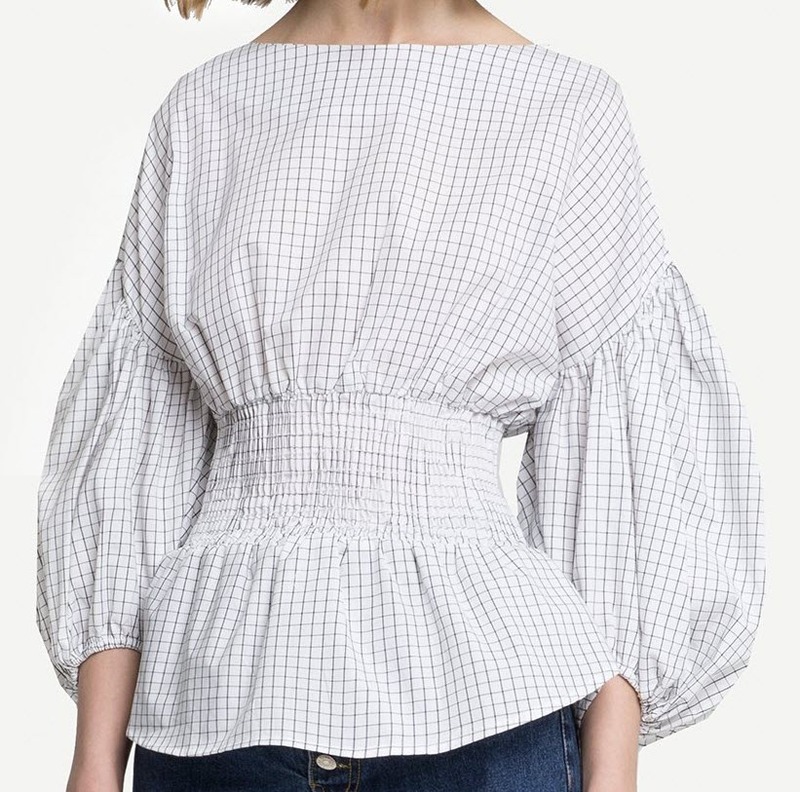 A puffed sleeve is a short full sleeve with gathers at the armhole, lower edge, or both. 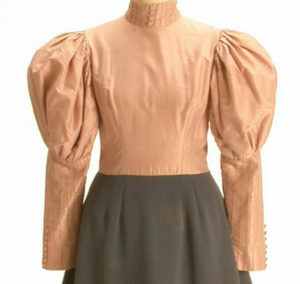 They are also sometimes called puff sleeves. A roll-up sleeve is a straight short or elbow length sleeve designed to be rolled or folded up to form a cut. They may be either set-in or shirt sleeve. A set-in sleeve has a high rounded sleeve cap. The sleeve underarm seam and the blouse side seam are constructed first so the sleeve is set into the armhole. 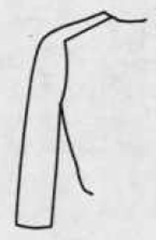 Set-in sleeves may be any length. 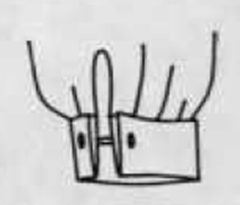 A shirt sleeve is a sleeve with a barely rounded wide sleeve cap, attached to the armhole before the underarm seam and side seam are sewn as a continuous seam. Shirt sleeves may be any length. Long shirt sleeves are usually cuffed. May also be called tailored shirt sleeves. Kimono sleeves are usually cut in one with the front and back of the garment. A batwing sleeve is along sleeve with a deep armhole almost to the waist and extending to a narrow wrist. They may be cut on one with the garment or may be a separate sleeve. 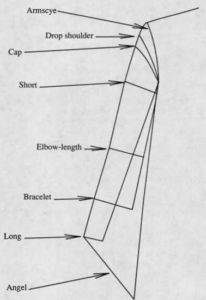 A cape sleeve may be either a semicircular extension of the front and back or a circular or semicircular piece sewn over the top of the should to give a cape-like effect. 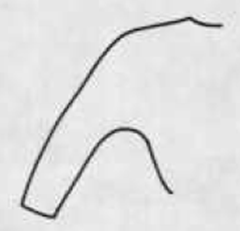 A dolman sleeve may be cut in one with the front and back of the garment or may be attached to the front and back with a vertical seam. 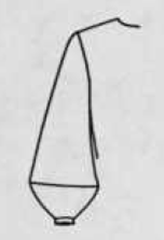 Their shape is usually curved under the arm. 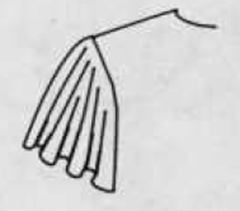 The dolman sleeve is usually long and fitted at the wrist. A Kimono sleeve may be cut in one with the front and back of the garment or may be attached to the front and back with a vertical seam. 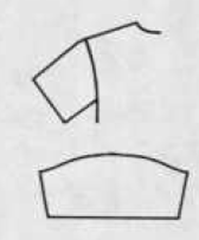 The shape is usually angular under the arm in contrast to the curve of a dolman sleeve. Kimono sleeves are also called mandarin sleeves. A peasant sleeve is a wide raglan sleeve with gathers at the neckline and lower edge. 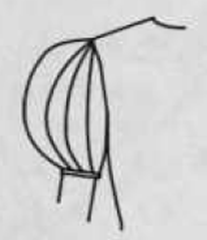 The gathers may be controlled by a drawstring or elastic. 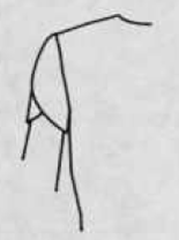 The peasant sleeve may be short or long. A raglan sleeve is joined by a diagonal seam that extends from the underarm to the neckline. 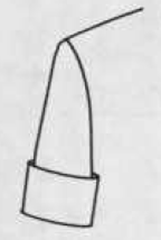 They may have a dart to shape the shoulder or may have an additional seam along the outside of the arm. 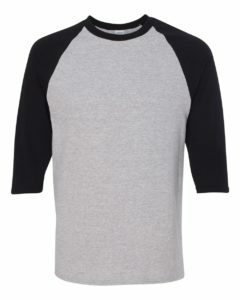 A saddle sleeve is a variation of the raglan in which the shoulder portion is horizontal across the chest then diagonal under the arm. 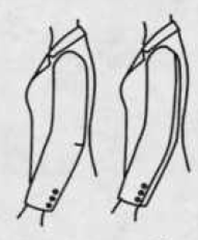 They are also called epaulet sleeves. 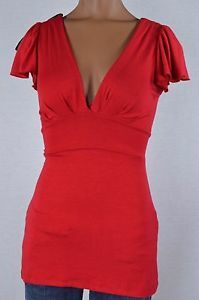 An open or cold shoulder sleeve is a sleeve that leaves part of the shoulder exposed through a cutout, slot, or slit. 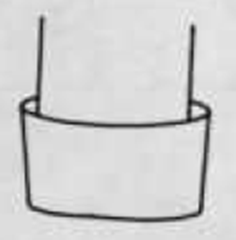 A band cuff has no vertical opening. It slips on over the hand. 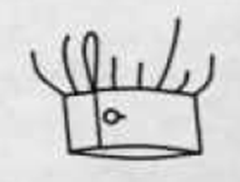 A barrel cuff is a band of fabric stitched to the sleeve. They are usually closed with one or two buttons. They are sometimes referred to as single cuffs. A classic design. A French cuff is a wide cuff which turns back and is fastened with a cuff link through all layers. It’s the go-to choice for tuxedo shirts. A gauntlet cuff is a wide, turned-back cuff that flares wide at the arm and tapers toward the wrist. They are also called cavalier cuffs. A knit cuff is a rib knitted fabric which fits closely but is stretchy enough to slip of the hand. A roll-up cuff is usually a straight sleeve which is folded up to form a cuff.